The latest Eating Out-Look survey from Horizons reveals that confidence is returning to the sector with eating out up 4% compared with last summer. Consumers are eating out more often this summer, than they did this time last year, with 71% of respondents to the Horizons’ survey saying they had eaten out in the past two weeks, a clear sign that confidence is returning to the sector. The Eating Out-Look survey, conducted online by YouGov amongst 2,366 respondents, reveals that convenience (27%) and conviviality (26%) are the most frequently cited reasons for eating out amongst those who have done so, but increasingly consumers report that they opt for meals out or takeaways because they don’t want to cook themselves (25%), are hungry (20%) or because meals out represent good value for money (17%). However, while the number of survey respondents eating out in the previous two weeks has risen from 67% in June 2013 to 71% in July 2014, average spend has dropped year-on-year from £13.30 to £12.72. 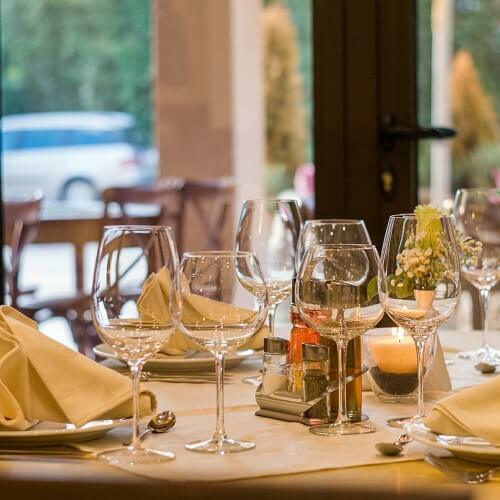 “Although frequency of eating out is still below pre-recession levels, the increase in penetration and frequency of eating out indicates that the sector is no longer in decline,” commented Horizons’ director of services Nicola Knight.